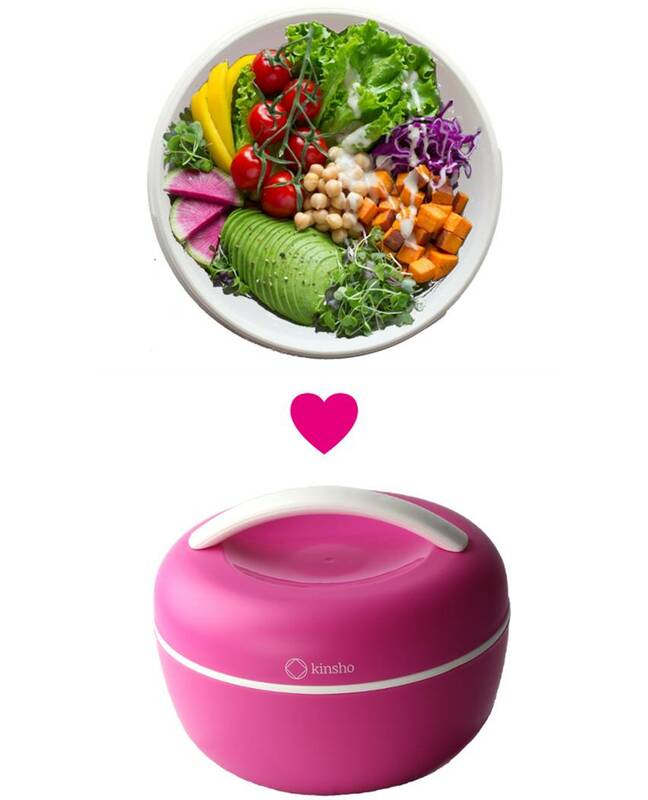 Sometimes eating from a bento bowl just tastes better. Especially when it’s filled with visually beautiful, hunger satisfying ingredients. 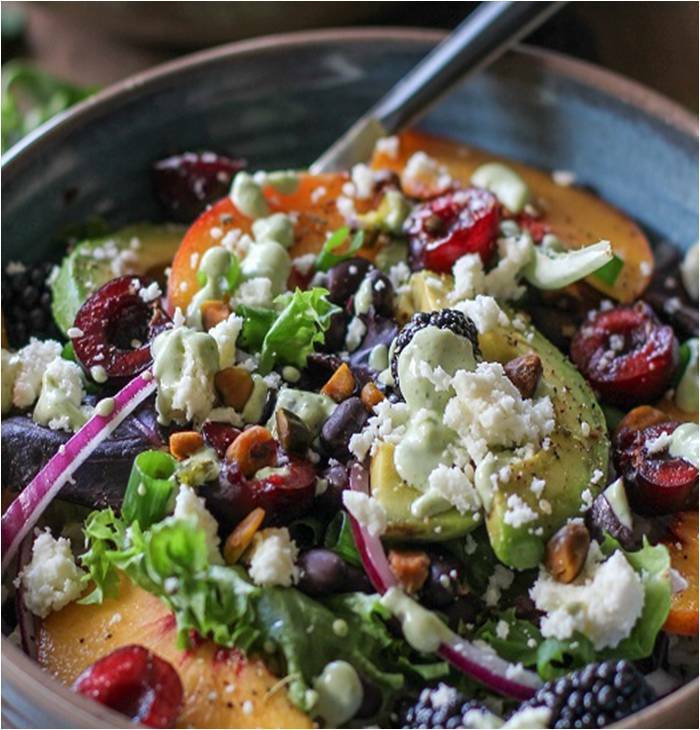 Here are a few of our favorite bowl recipes from around the web. Remember to use all your senses when you’re eating them to max out enjoyment! Heat the olive oil in a large skillet over medium heat. Add the onion; saute until soft. 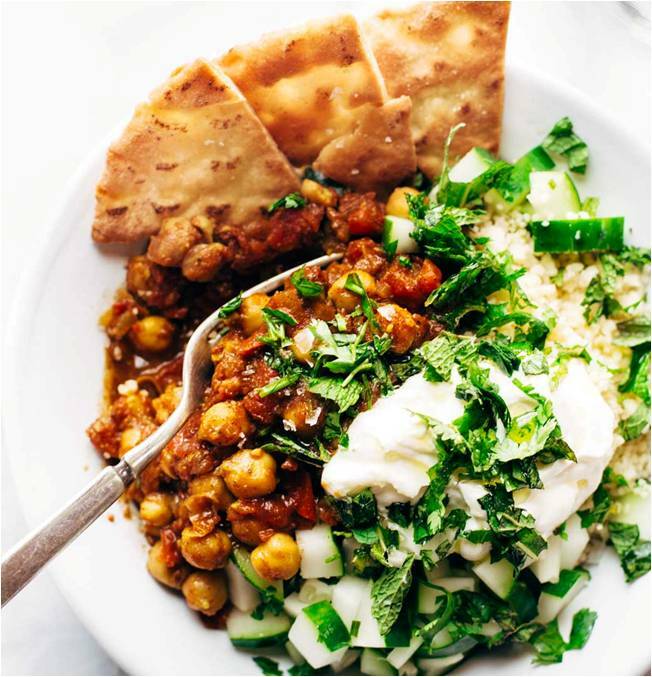 Add the garlic, spices, salt, and chickpeas – stir until very fragrant. Add the tomatoes (undrained) and simmer for 20 minutes while you prep the other ingredients. Chop the cucumber, cook the couscous, and mince the herbs. 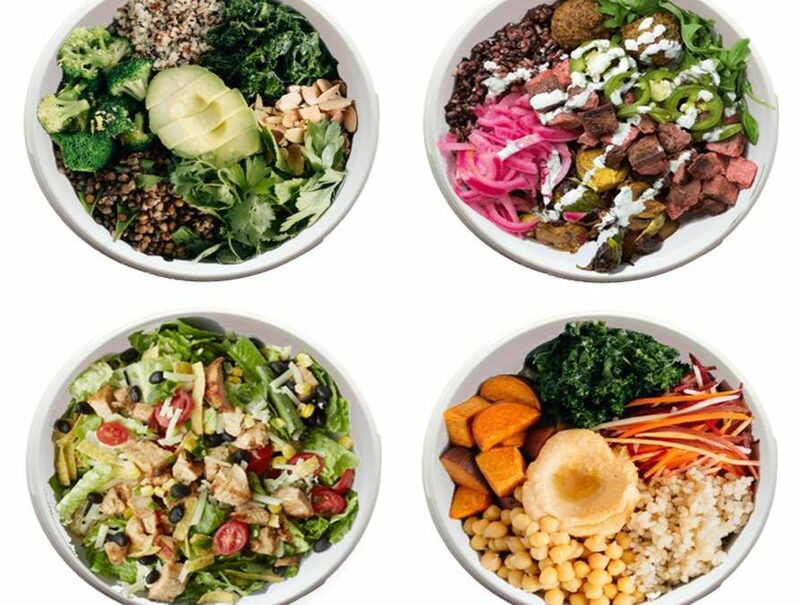 Arrange bowls with desired amounts of all ingredients. See this recipe and more at Pinch of Yum. 1. In a fine mesh sieve, rinse the sushi rice under warm water until it runs clear. Place in a small saucepan with 1 ½ cups water. Allow to sit in the water for 15 minutes. Then bring to a boil, reduce heat to low, cover, and cook for 20 minutes. Remove from the heat and rest for 10 minutes. Then fluff with a fork and divide between 4 bowls. 2.Meanwhile, combine the carrots, radishes, garlic, vinegar, and salt in a medium mixing bowl. Let sit, stirring occasionally, until the vegetables have softened, about 15 minutes. 3. Mix the ingredients for the spicy ponzu sauce together in another small mixing bowl. Add the salmon and cilantro; toss to combine. 4. 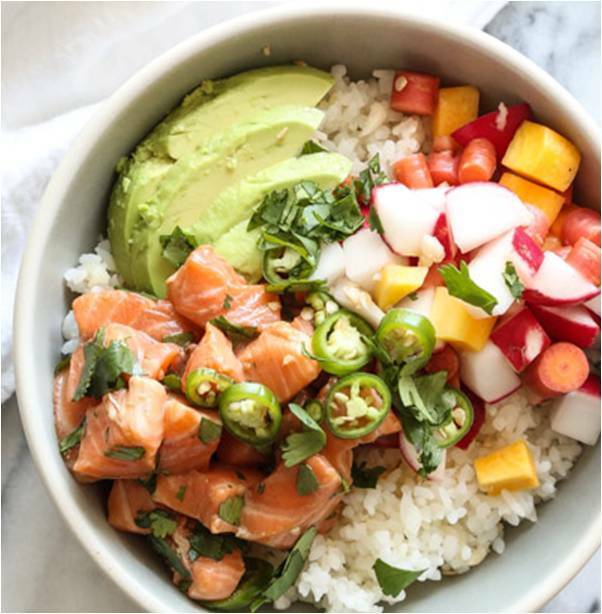 Divide the salmon, pickled vegetables, and avocado between the bowls, arranging each in its own quadrant. Spoon the remaining ponzu sauce over the poke bowls (or serve on the side), and garnish with black sesame Gomasio, if using. See this recipe and more at FeedMePhoebe. 1. In a small bowl, whisk together the tahini, lemon zest, lemon juice, ¼ teaspoon of the turmeric and the garlic powder. Gradually add 3 tablespoons of the olive oil and whisk until the dressing is thick and well emulsified. Season with salt and pepper. 2. Bring the farro and 1 cup water to a simmer in a small pot over medium heat. Reduce the heat to low and simmer until the farro is very tender, 20 to 25 minutes. Set aside. 3. Combine the beans, 1 tablespoon of the olive oil and the cumin in a small bowl. Set aside. 4. Season the salmon with the smoked paprika, coriander, remaining ¼ teaspoon turmeric, salt and pepper. Heat the remaining 2 tablespoons olive oil in a medium-size nonstick skillet over medium heat. Add the salmon and cook, undisturbed, until browned on one side and just opaque in the center, about 5 minutes. 5. Place the lettuce leaves in the base of your serving bowl. 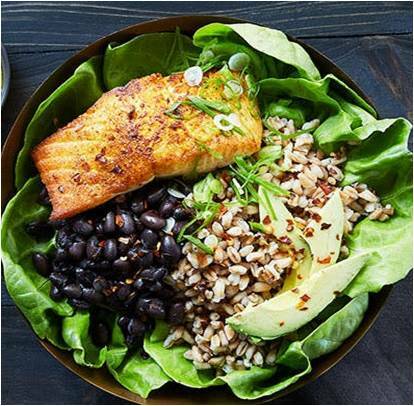 Top with the farro, black beans and salmon. Garnish with the avocado, scallions and sliced chile; drizzle with the dressing. See this recipe and more at Pure Wow. Add all of the ingredients for the dressing to a blender or food processor and blend until smooth. The dressing will be very thick – you can add more water or a splash of full-fat coconut milk to thin it out. Refrigerate until ready to use. Cook the rice according to package instructions. Divide it among 4 large bowls, along with the remaining ingredients. Drizzle desired amount of green goddess dressing over each bowl and serve. See this recipe and more at The Roasted Root. Links to 106 more Bowls! Enjoy! If you make any of these in our Kinsho bento bowls be sure to tag us @kinshokitchen!